I'm so excited for getting Judge's book. He is one of the brothers that got me curious from the first book and I couldn't wait to read his story. Never in my thoughts, I could anticipated this awesome book. The author gave me so many things in this book and I'm so grateful!!! Judge came out as reserved in the previous books. He's the one watching over all of them; he used to do it even back when Malus was Sweet Haven. He's strict about the rules and doesn't like strangers coming to Malus. I was wondering who his love interest would be and let me tell you that Ellie is perfect!! Ellie and Judge were together 12 years ago but after he broke her heart, he didn't see her again. Now Ellie is in Malus with a big surprise that changes everything. Since I don't want to give much away, I'll only say that the plot and story is amazing! We get to see a different side to Judge, find out more of his past. There's also mystery in this book, since there is a killer on the loose! The book ends in a cliffhanger that I can't help but constantly think about even after finishing the book. Emo's book is next and after how we are left I can't wait to get my hands on it! This is another great addition to the "Hell Night" series and I'm already wanting more!! 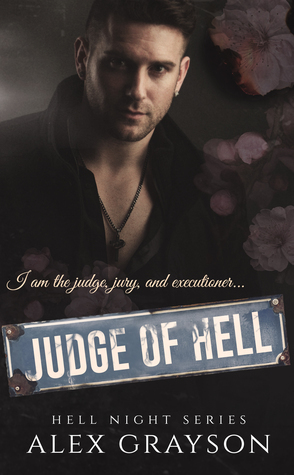 Sign into Goodreads to see if any of your friends have read Judge of Hell.